Joe Root admitted England have a welcome selection headache after romping to their first overseas Test victory for more than two years. England thumped Sri Lanka by 211 runs inside four days at Galle without the rested Stuart Broad and Jonny Bairstow, who could be fit for next week's second Test after rolling his ankle while playing football. In the Yorkshireman's absence, debutant Ben Foakes struck a maiden century and impressed with the gloves and Keaton Jennings returned to form with an unbeaten 146no, with opening partner Rory Burns impressing without scoring big in his first Test. Looking ahead to the selection meeting for the second Test in the series, which begins on Sky Sports Cricket at 4am on Wednesday, Root said: "It's going to be an interesting meeting for sure but I'd much rather be in this position than having no idea who to pick. "We've got a fantastic squad of players; we came into this tour knowing that we've got different options. If the pitches look drastically different we can adapt to that with a different XI and it's a very balanced XI. "It's great to see players putting pressure on the guys with the shirts and you want to make sure that you are contributing. The work ethic throughout leading into this game has been exceptional so if that can continue throughout the tour - and we stay really clear about how we want to go about things on the pitch - then great. "I think the surface is going to be very different at Kandy so it's a new challenge for us but we're full of confidence going there." Asked if Bairstow will be fit and available for selection for the second Test, Root said with a grin: "We'll see". England began the day needing 10 wickets to go ahead in the series after setting Sri Lanka a world record chase of 462. 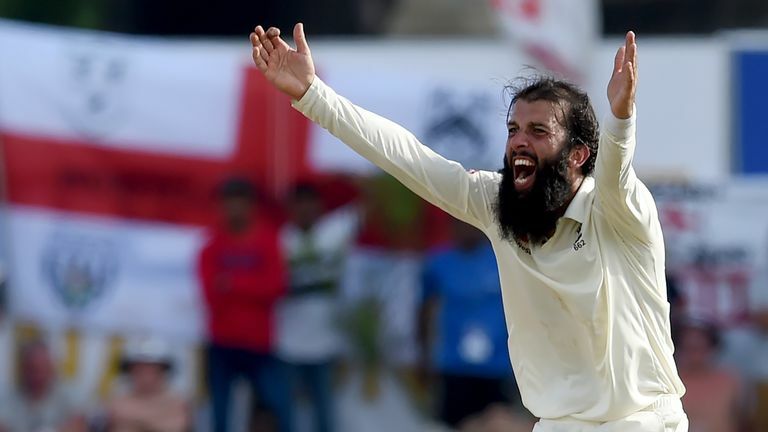 Moeen Ali (4-71) claimed his best match figures away from home and Jack Leach returned 3-60 as the home side were bowled out for 250. "We knew we were going to have to work hard and that there would be periods where we would have to be very patient, hold our nerve, trust our plans and how we were going to go about things," said Root. "The fact that we managed to do that and see it off it was very pleasing. "Having so many different bowling options and is great fun and it's great to see the lads really dovetail and complement each other. "The seamers might not get the praise they deserve throughout this game, they built a lot of pressure. I thought the first hour this morning was great, we might not have got the wickets but they didn't go away from us and towards the end of the session we got our rewards." "We have to take as much as we can take this into the rest of the tour, but we have to build on it and not rest on our laurels." Who do you think should be in England's XI? Comment below to get involved in the debate, but please adhere to our House Rules. If you wish to report any comment, simply click on the down arrow next to the offending comment and click 'Report'.